Happy Birthday Bryant & Lucy Kate!!! 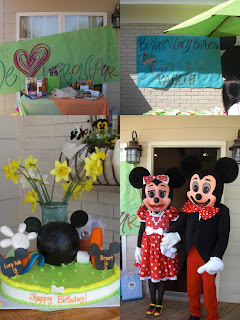 Today we celebrated Bryant & Lucy Kate's 2nd Birthday!! It was so much fun - they had an ice cream parlor and a few surprise guests! The weather was perfect and the kids has such a good time. Again this year, they donated their gifts to the children at LeBonheur. When we got in the car to leave, MM said, "Whew! That was a fun party!!" - and then they both took REALLY long naps - Yay!!! 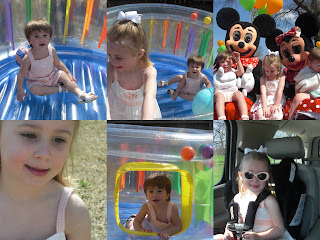 Here are a few cute pics from the party and of the kids having a great time. The weather has FINALLY started to warm up and all the kids want to do is play outside. They still love the swingset and have so much fun playing on it. We are all looking forward to the long warm days ahead. The kids had such a good time playing at Sam's birthday party. Stratton got sooooo excited about the balloons and had so much fun playing in the leaves. They both had a hot dog for the 1st time - I just about died, but they both LOVED them. Playing outside on Valentine's Day, and working up an appetite to eat the red velvet cake we made. Yum Yum Yum!!! Looking so cute in my dinosaur pj's that Heather gave me!! Mary Mason looks forward to going to dancing every week, but she always wants to wear her "regular clothes" as she puts it so I was so excited when 1 week she wanted to wear this. It snowed!!! Mary Mason was stuck inside sick, but Stratton bundled up and went out to play. He really loved it once he found out he could eat it. Stratton's new favorite hiding spots are in the entertainment center - he thinks this is so funny!